Designed by the world’s hottest hotelier Ian Schrager (of Studio 54 fame) and Barcelona tastemaker Lázaro Rosa-Violán,it’s no surprise that the Barcelona Edition hotel has become an instant hit with travelers and locals alike. Besides the refined yet understated rooms, this trendsetting urban resort conceals a slew of sleek spaces that Barcelonins will be proud to call their own. On the ground floor, Bar Veraz is a handsome but informal, all-day restaurant serving creative Mediterranean dishes, local wines and craft beers. The leafy rooftop bar offers spectacular views and is one of the city’s most coveted spots for sunset sips. Hidden at basement level, the clandestine Cabaret restaurant offers a multi-sensory experience with its creative tasting menu, sultry cocktail bar and titillating dance performances. 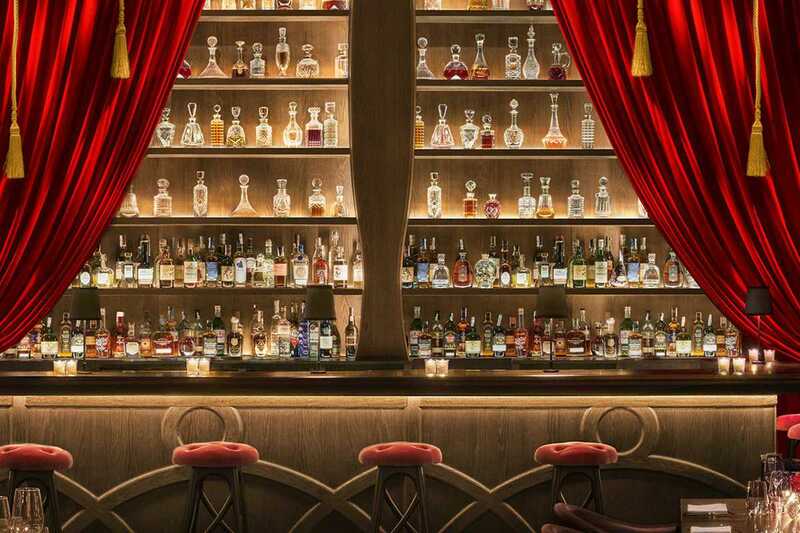 For a dose of after-dark conviviality, the Punch Room is an intimate, oak-paneled speakeasy specializing in punch, cocktails and liberal self-indulgence.